Where are Conservatives most likely to be elected in Canada? Historically, rural and suburban White, Protestant ridings and the wealthiest parts of English-speaking cities have been where the Tories enjoyed the most success. Certainly the Conservatives have never been the party of those marginalized for economic, social or religious reasons. Yet, at the start of the month Stephen Harper launched his re-election campaign from the Ben Weider Jewish Community Centre in Mount Royal, one of two ridings in the country with a Jewish plurality (about 36% of the population). If Conservative candidate Robert Libman wins Pierre Trudeau’s old seat it would represent a significant feat. The Liberals have held the riding for 75 years and the Conservatives don’t currently hold a single seat in greater Montréal. In fact, they aren’t seriously contesting any other constituency near Mount Royal. In the 2011 federal election an Ipsos exit poll found that 52 per cent of Canadian Jews voted Conservative versus 39 per cent of the overall population. On October 19 the Tories’ share of the Jewish vote is expected to increase while the Conservatives’ overall total drops. The remarkable growth in Jewish support for the Conservatives over the past decade is a strong sign that anti-Semitism barely registers in the lives of most Canadian Jews. In general, they are a widely accepted, relatively successful part of Canada’s multicultural fabric — so much so that a majority now votes for the primary political party of the Canadian ruling class. Outside Harper’s speech at the Ben Weider Jewish Community Centre a crowd of 100 protested. A self-described “Zionist” holding an “Israel is NOT a partisan issue” sign, Bryan Wolofsky, told me that when he canvassed during the last election in Hampstead and Cote Saint-Luc, the largely Jewish municipalities in the Mount Royal riding, Israel was people’s primary concern. While some may disagree, there is nothing inherently troubling about a group of Canadians voting in response to a government’s policy towards another country. In fact, it can represent a righteous, selfless act. In the mid-2000s I worked with members of Montréal’s Haitian community to defeat Liberal MPs complicit in the violent overthrow of the Caribbean nation’s elected government. For many in the Haitian-Canadian community this country’s foreign policy was a key issue in the election. They hoped to defend their homeland against outside intervention. But the Jewish community’s support for Israel is the exact opposite. The recipient of billions of dollars of support from the world’s most powerful country, Israel is a nuclear-armed state that has repeatedly slaughtered a largely defenseless population it dispossessed. Rather than selfless internationalism, Canadian Jewish support for Israel is an assertion of ethnic/religious supremacy. History strongly suggests that Zionism was both a reaction to anti-Semitism and an attempt by European Jews to benefit from and participate in colonialism. If Zionism were simply a response to anti-Semitism why hasn’t the decline of anti-Semitism lessened its popularity in the Canadian Jewish community? Instead, the leadership of that community has become more and more obsessed with Israel. In 2011 the leading donors in the community scrapped the hundred-year-old Canadian Jewish Congress and replaced it with the Centre for Israel and Jewish Affairs. As the name change suggests, this move represented a shift away from local Jewish concerns and towards ever greater lobbying in favour of Israeli policy. The political trajectory of Mount Royal provides an interesting insight into the shift towards focusing on Israel. Repeatedly re-elected in a riding that was then 50% Jewish, Pierre Trudeau distanced Ottawa from Israeli conduct more than any other prime minister before or since. Still, Trudeau was incredibly popular with the Jewish community. He appointed the first Jew to the federal cabinet, Herb Gray, and brought in the Charter of Rights and Freedoms, which strengthened religious freedoms. If Conservative candidate Robert Libman wins in Mount Royal on October 19 it would mark a decisive end to the notion that the Canadian Jewish community is a liberal force in politics. 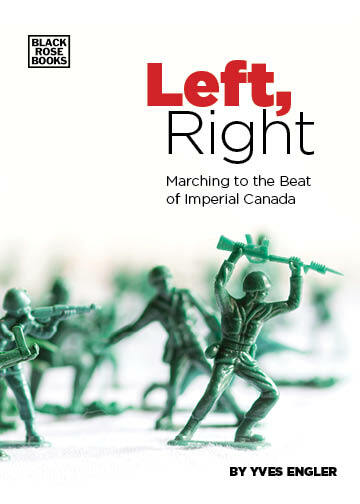 It would also suggest that the political priority of a large number of Canadian Jews is to support a highly militarized state that continues to deny its indigenous population the most basic political rights.